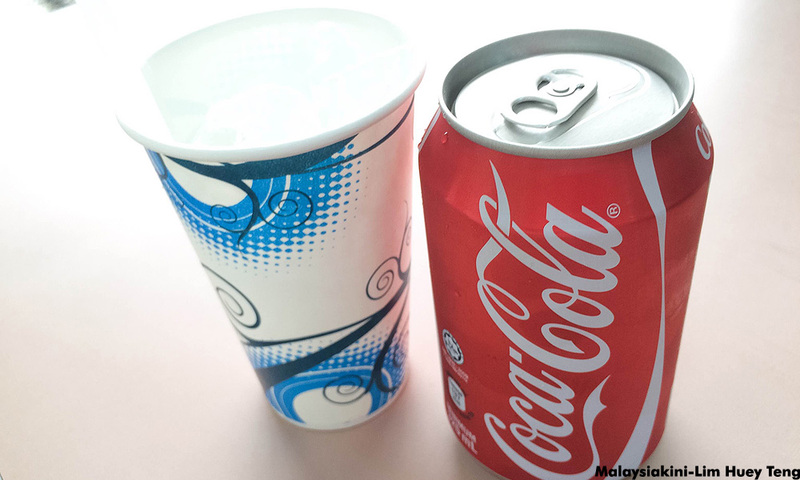 LETTER | The Consumers Association of Penang (CAP) calls on the Health Ministry to take drastic action to curb the rising number of diabetics in the country. In spite of the many campaigns in Malaysia against diabetes, its prevalence, especially that of Type 2 has increased to epidemic proportions. It is estimated there are 4.2 million diabetics, which makes Malaysia the top country in Asean for having the highest number of diabetics, and sixth in the Western Pacific region. The alarming increase in Malaysia’s prevalence of diabetes needs strong measures by the government to stem this epidemic. The government should give a red alert warning in addressing the diabetes epidemic as being done in cholera and dengue epidemic. Diabetes has become a condition of epidemic proportion worldwide and is a cause for concern, prompting World Health Organisation (WHO) and the International Diabetes Federation (IDF) to declare November 14 as World Diabetes Day. WHO has estimated that there are more than 200 million people worldwide living with diabetes and each year, another seven million develop it. Diabetes spares no group - attacking men, women, children, the elderly and people from every racial background. Surveys have shown that for every two known diabetics, there is at least one more that is undiagnosed and untreated until irreversible complications set in. Worse still, Type 2 diabetes is no longer seen as a disease of middle or old age - children as young as 10 years old suffering from the disease are not uncommon nowadays. Diabetes has put a heavy toll on the government spending as much as RM2, 684.24 are spent for treatment each year for each patient. 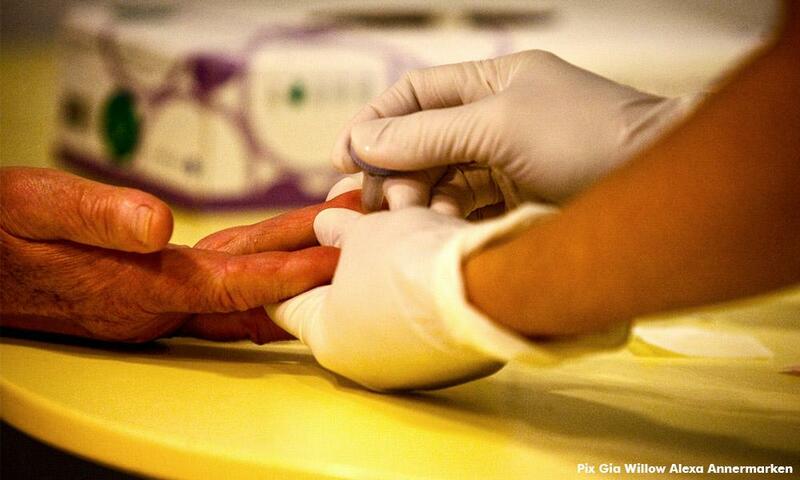 This amounts to RM11.3 billion for the estimated total number of 4.2 million diabetics in the country. The government had to spend RM1, 400 to RM3, 200 each month on haemodialysis for patients with kidney failure. The government is not only burdened by the high cost of healthcare but also by the patient’s loss of work productivity. Diabetes does not only take a toll on the country’s resources, it affects virtually every tissue of the body with long-term and severe damage. For example, it affects the limbs (amputation), eyesight (blindness), kidney (failure), heart (failure) and nerve (damage) of its sufferers. The diabetes prevalence rate in Malaysia has risen much faster than expected, almost doubling in magnitude over the last decade. As obesity is a major contributing factor to diabetes, the need to battle obesity is instrumental in reducing the alarming increase of diabetes among Malaysians. According to WHO, Malaysia ranked sixth among Asian countries with high adult obesity rates. Diabetes in Malaysia is expected to climb at an increased rate due to our unhealthy lifestyle and lack of eating a healthy and balanced diet. 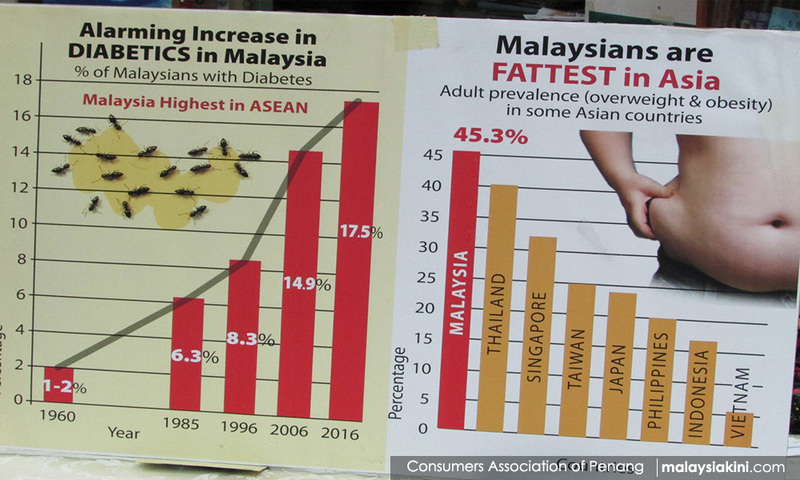 Unless drastic actions are taken by the government to curb obesity and diabetes, Malaysia may end up becoming a nation of diabetics.